Graphics? What are you talking about? I can just copy and paste graphics from the Web, right? Can’t I just hire someone when I need a graphic? I’m an author. Words are my thing. So why do I need to know how to make graphics? How do I know? Because these were my exact thoughts after publishing my first book. So before I tell you about some awesome, easy-to-use graphic makers/photo editors (Canva, Pablo by Buffer, and PicMonkey), let me start by sharing my answers to the above questions. Facebook posts, Instagram posts, Twitter posts, teasers, quotes, promos, events, etc. It’s best to NEVER copy and paste an image from the Web. Unless you are 100% certain an image is in the public domain or copyright-free, do NOT use it. Again, you must be 100% certain. Otherwise, you could get hit with a copyright infringement claim. Not that these claims are always legit (read about the one I got hit with HERE), but it’s always better to err on the side of caution. Of course you can hire someone to create graphics for you! And even after you learn how to make your own, you still might want to hire a professional. For example, I hired Okay Creations to create logos for me, and my social media headers were included. But if you consider the cost and the time you’ll put into explaining what you want for smaller jobs, you’re much better off learning how to make your own stuff. Plus, most design professionals aren’t sitting around waiting to make graphics for people, which means your graphics won’t be ready immediately. An author doesn’t NEED to know how to make graphics, but it sure does make life easier! You’re absolutely right, you should be spending the bulk of your time writing. But if you invest some time in learning how to make your own graphics, I guarantee you’ll thank yourself in the long run. There were times when I spent hours upon hours trying to edit an image or create a promo graphic, now I can accomplish either task in 10 minutes or less. And now, on to those awesome graphic design websites I promised! 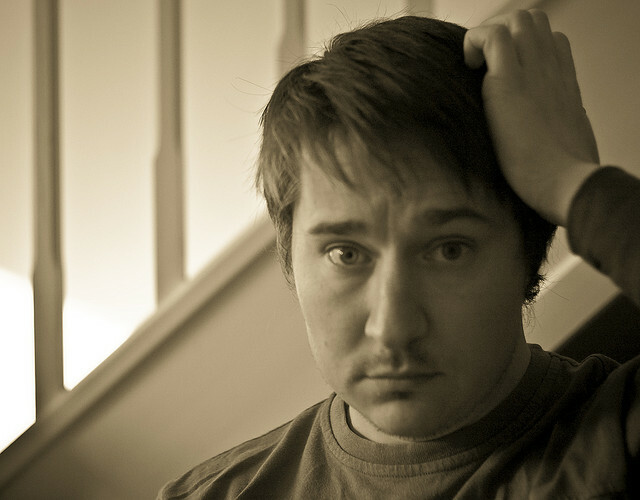 Of the three I use regularly, Pablo by Buffer is the most basic image-editing site I’ve encountered. (Thank you to Rachel Thompson of BadRedhead Media for introducing me to it!) Simply choose an image and add your text. Boom. You’re done. You can make a graphic in less than one minute! With PicMonkey and Canva, you can create anything your imagination dreams up. However, while these two offer many more features than Pablo by Buffer, they require a lot more practice for efficient use. Also, certain features require payment. All three sites offer templates to accommodate various social media requirements. Don’t forget: If you upload a photo to one of these sites, make sure you own it or that it’s in the public domain (copyright free). I had a lot of goals for 2015 and I worked my heinie off in an attempt achieve them. How did I do? Goal achieved! And as of today, Don’t Call Me Kit Kat has review averages on Goodreads (4.57) and Amazon (4.8) that make my heart swell with joy. This book is very near and dear to my heart, and based on the majority of responses from readers, it conveys the messages I was hoping it would. Hmm. This one is iffy. While I managed to stop checking my sales stats every day, I faltered on resisting the urge to constantly check for new reviews after Don’t Call Me Kit Kat was published in May. Because I wanted to keep tabs on how Kit Kat was doing, I ended up checking in on CDR more than once a week as well. So this goal continues to be a work in progress. MAJOR fail. But, I have a really good excuse! During November, I participated in NaNoWriMo and completed a good chunk of a YA suspense novel. Another iffy one here. For the most part, I managed to post one book review per week. But I kinda fell off the bandwagon as far as posting a personal/professional post every Wednesday. I won’t abandon this goal, but it definitely needs to be revised. SPIN is the YA suspense novel I worked on during NaNoWriMo. The manuscript has been through one round of developmental editing, and I can’t even describe how excited I am to see this one through to publication. My plan is to send it off for one more round of developmental edits some time in Feburary. Then, if I succeed at making this book into what I think it can be, I just might be querying agents come spring. As of right now, I have about a third of this book completed. However, the entire novel is outlined, so I know exactly what needs to be written. I plan to work on it intermittently for the next two months, but as soon as SPIN gets sent in for its second developmental edit in February, I’ll finish this one up. I’ll aim for sending it for it’s first developmental edit in March with the ultimate goal of publishing in late May. I will only check my sales stats and for new book reviews once a week. This might seem like an easy goal, but it’s not! Instead of committing to personal/professional posts on Wednesdays and book reviews on Sundays, I’m only committing to posting something at least once a week and it could be any day of the week. In addition to personal/professional posts and book reviews, I’ve also started participating in cover reveals and blog tours. Goal #6 – Write Every Day! Even if I don’t feel like writing. Even if I’m busy with family commitments all day long and can’t write until after the kids are in bed. Even if I’m feeling under the weather. I will write at least one page of something every day. That something could be complete gibberish, but even gibberish can be turned into something meaningful. And baby steps are better than no steps at all. I won’t be taking the summer off this year due to Goal #6, but I will continue unplugging every Friday night (and holidays) to spend quality time with my family. Today was a special day for me because I became a NaNoWriMoer! I first heard about this event last year when I started learning the ins and outs of self-publishing. Of course, I had to look it up to find out what NaNoWriMo stands for. (Psst…It stands for National Novel Writing Month, for those of you who might be encountering the term for the first time right now!) After I found out what it means, I wondered two things: What’s the point? and Why do people participate? The point of NaNoWriMo is simple. Write a 50,000-word novel in one month! If you’re like me, not only is writing that many words in one month not so simple, it’s downright scary. But wait, there’s more. According to NaNoWriMo.org, the process is supposed to be fun and approached by the seat of your pants. Okay, so maybe trying to have fun and not editing after writing every other sentence might make the task less laughable and more doable. It’s worth a try, right? But can’t writers attempt to write a 50,000-word novel for fun and by the seat of their pants during any month of the year? Of course they can, but the majority don’t. And even those who say they’re going to (ME, for example) often end up falling short. So why make an attempt during NaNoWriMo? First of all, there’s something magical about setting a goal like this along with hundreds of thousands of other people. Within minutes of creating my account, I looked up friends who were participating and added them to my list of writing buddies. I also joined an accountability group on Facebook. I can’t even begin to explain the camaraderie I feel with fellow nanowrimoers. So I won’t. 🙂 But trust me, it feels great to share a common goal with so many other writers. Second, making such a huge commitment in front of the hundreds of thousands of participants I’ve already mentioned lit a fire under me. I want to succeed, not just for myself, but for the entire community. Does it have anything to do with saving face? Yeah, okay, maybe a little. But I also want to be an inspiration to my writing buddies. Today, when I noticed that one of my buddies wrote 3,000+ words, not only was I proud of her, but it got me moving! Third, I have my very own dashboard on the NaNoWriMo site that includes nifty progress trackers, such as a graph that reports my daily average and fun little badges to keep me motivated. For someone like me who’s driven by data and reaching milestones, it’s just plain cool. 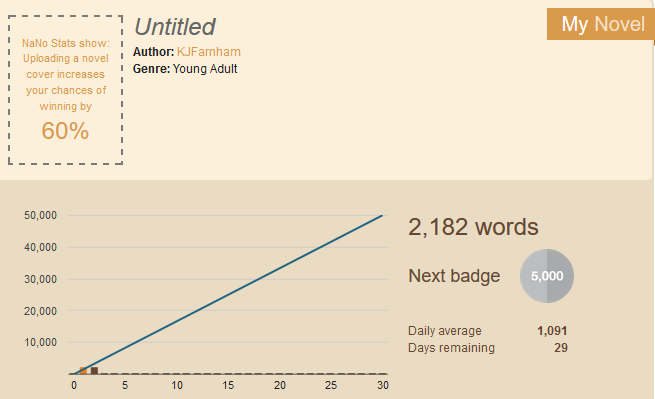 Today I wrote 2,182 words, which puts my required daily average at 1,091. I hope to decrease that average as the month progresses. Are you participating in NaNoWriMo? If so, are you a newbie too? What’s your favorite thing about being a nanowrimoer? If you have a friend or family member who’s an author (or even if you’ve enjoyed a book so much that you wished you knew the author), there are several ways for you to show your support or appreciation for his/her work. Doing just one of the things on this list is guaranteed to put a smile on the targeted author’s face. And making it a habit to do several or all of these things consistently could lead to increased success for the author. 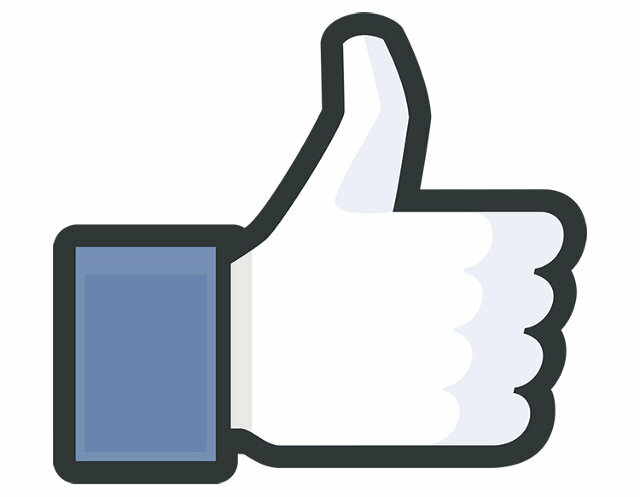 Liking an author’s Facebook page is probably the easiest way to show your support. However, if you really want to make an impact, be an engaged fan. What does this mean? Like, share and/or comment on the author’s posts. Posts aren’t shown to every fan of a particular page. I’m not certain how Facebook determines whose feed a post initially pops up in, but it is said that for every ‘like’ a post receives, 10 additional fans will see it. Posts are also boosted when they are commented on and shared. If an author mentions the words ‘share’ or ‘like’ in a post, Facebook downgrades the post and won’t give it the usual boost. In order to follow an author’s blog, all you have to do is click ‘follow’ or type in your email address to subscribe. Then you’ll receive automatic updates when your friend or family member posts new content. If you have time, comment on a post every once in a while or share a post on social media. Goodreads is the perfect outlet for increasing an author’s visibility. If you aren’t familiar with the site, it’s a Facebook-like platform for book lovers. When a user follows an author, the action shows up in her feed, which is shown to all of her friends (just like a Facebook wall post). Goodreads also allows users to categorize books by placing them on different shelves, the most common being the ‘to-read’ shelf. Categorizing a book is another action that shows up in a user’s feed, so adding an author’s books to your to-read shelf is another great way to introduce her work to others. It isn’t easy for authors to promote themselves or their work, but it’s a necessity. Help by telling co-workers, fellow book lovers or even random strangers about your author friend’s work. You could even suggest your friend’s book to your book club. Ask for promotional items (such as bookmarks, business cards and pens) to distribute. I know it might seem weird to attend a book signing event for your friend when you probably already own her book and when she most likely won’t have a lot of time to socialize with you. But trust me, your presence will mean the world to her. Plus, a book signing is the perfect place to spend some time promoting your friend’s books! I have no desire to make money off friends and family, so I typically offer free copies of my book to anyone I personally know who expresses interest in my work. The other day, a friend of mine refused to take a free copy of my new YA novel. I can’t tell you how much it touched my heart. If your author friend somehow slips you a free copy of her book (which I’ve successfully done a few times), consider purchasing an additional copy in a different format or as a gift for someone else. Whenever I discover a new review, I feel like a kid on Christmas morning. Whether they’re long or short (good or bad) I appreciate each and every review that my books receive. Keep in mind, reviews don’t have to be lengthy – a line or two expressing your opinion is sufficient. Also, it is extremely helpful if reviews are cross-posted on Amazon, Goodreads, Barnes & Noble and/or LibraryThing. What other things have you done to support an author? Beta reader feedback for Don’t Call Me Kit Kat has started to trickle in. The not-so-good news is that one reader disliked the main character (nooooo! ), and a few others have suggested that I put her in ninth grade instead of eighth. I’m sure you can understand why a reader disliking the MC is bad news, but why is the grade level suggestion such a downer? Well, not only would a change like that involve A LOT of revisions, but it would also leave me feeling a bit disconnected from the story. Don’t get me wrong, I am willing to put as much effort as possible into making this novel the best it can be, but after much deliberation, my heart continues telling me that Katie is an eighth grader. She just is, and there’s nothing I can do about it. I realize that future readers might share the same opinion as the betas who feel she should be older, but it is a risk I’m willing to take to tell the story I envisioned telling from the beginning. Don’t take criticism to heart. Use the feedback to fix what can be fixed! Be ready for some aha moments. Be prepared to make a lot of revisions and possibly some tough decisions. Listen to your heart. If a change doesn’t feel right, don’t make it. The cover reveal for Don’t Call Me Kit Kat is scheduled for Friday, April 3. If you’re a blogger and would like to participate, please sign up via Xpresso Book Tours. This is essential information for self-published authors. Thank you Readers+Writers Journal! Are You Missing an Essential Weapon in Your Book Promotion Arsenal? Any self published author promoting a novel, self-help or non fiction title knows that, after the work of writing, the real work comes when you’re marketing your book. 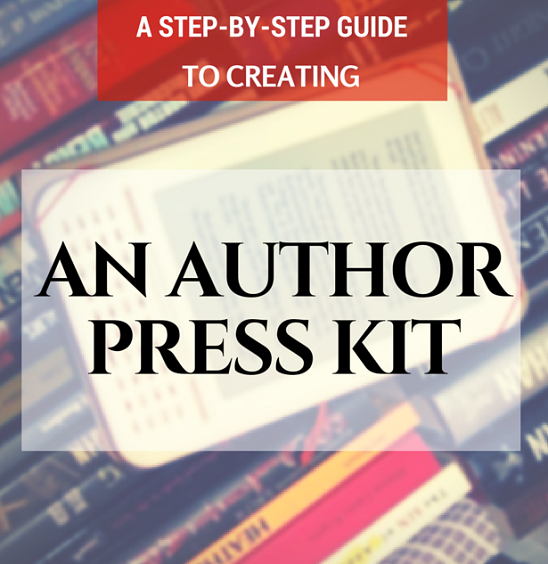 You are undoubtedly (or should be) contacting book blogs, professional reviewers, Amazon Top Reviewers and the traditional press in hopes of getting a mention or a review. Those bloggers are just as busy as you are, and if they have to hunt around for information about your book, they’re less likely to bother. Are you a new author with a completed manuscript and you’re not sure what to do next? That was me last spring after I’d completed my first novel. My solution was to ask my developmental editor, Leah Campbell, for advice. Leah is a published author, so she was able to fill me in on what I needed to do. Create a cover, or hire a cover designer. Read through my book. Again. For the 80 billionth time. Format my book for paperback publication. So I did everything she suggested, and shortly after uploading my book to CreateSpace and Kindle Direct Publishing, voila. My book became a best seller within a few weeks. In reality, it took about four months to complete all of the above, and my work was still far from complete. Plus, I hadn’t even gotten to the most difficult aspect of self-publishing: marketing. Slowly but surely, I learned new promotion strategies and came to realize that marketing a book is an ongoing job. I also realized something crucial. Marketing should begin months prior to publication. In light of this fact, I’ve done a lot more in preparation for my upcoming novel. Completed an outline of chapters and a descriptive list of characters. Booked Okay Creations to design the cover in February. *I booked the cover designer extra-early to take advantage of a promotion she was running. Otherwise, I would have waited until November/December to make the appointment. Started writing the first draft. Sent the first 30 percent to Leah. First blog post about Don’t Call Me Kit Kat. Added a Don’t Call Me Kit Kat page to my website. Sent the completed first draft to Leah. Sent book to beta readers. Post cover to all of my social media sites. Set up ARC giveaway on Goodreads. Set up a book blitz and review query through Xpresso Book Tours. Make changes based on beta reader feedback. Upload final draft to CreateSpace. Order ARCs and get them out to reviewers. Schedule a Facebook party for release day, and collect giveaway items. May 15 – Release Day! For more information about preparing a book for publication, check out the following posts from Jo Michaels and Cynthia over at Goodreads. Jo is extremely knowledgeable about self-publishing, so I also recommend that you subscribe to her blog if you’re a new author. Converting a manuscript for eBook publication is more complex than simply uploading it to various digital sales channels. This makes choosing a conversion/distribution service an important decision for many self-published authors. At this point, I have narrowed the options down to three: Smashwords, BookBaby and Draft2Digital. Before I get into comparing the three platforms, I should disclose that my books are currently enrolled in KDP Select, which makes them exclusive to Amazon. For now, this makes sense to me because I’m a newer, relatively unknown author. But in the future, say after I publish my next two books, I plan to branch out into other markets. It never hurts to do your homework early, right? One advantage to being enrolled in KDP Select is that it makes my books available to Kindle Unlimited and Amazon Prime subscribers. Without the exposure, a lot of Amazon customers would never come across my books or my name. Furthermore, when a subscriber borrows one of my books, I get paid per page read based on the size of the KDP Select Global Fund which varies from month to month. Sounds good, right? Well, yes and no. While I currently make more on borrows than on sales, there is definitely a downside. KDP Select books can be sold only on Amazon. So, readers who purchase eBooks from Barnes & Noble, Kobo or Apple (to name just a few other eBook retailers), don’t have immediate access to the e-versions of my books. Sure, they could download a Kindle app, but some readers simply prefer other platforms and some may not have access to the Kindle store period. This is why I plan to opt out of KDP Select in the future. Now, back to comparing Smashwords, BookBaby and Draft2Digital. At this point, I’ve ruled out Bookbaby due to the upfront cost. Between Smashwords and D2D, I’m leaning toward SW because of the wider distribution and the coupon generator, which allows authors to offer books at discounted rates, or even for free, without changing prices on sales channels. Do you currently use one of these services? If so, what are your thoughts? Are you writing your first novel and not sure if the storyline is moving in the right direction? Or, do you worry that your writing might not be good enough and wonder if you should even finish what you’re working on? If either scenario applies to you, you might want to consider hiring an editor to provide feedback. 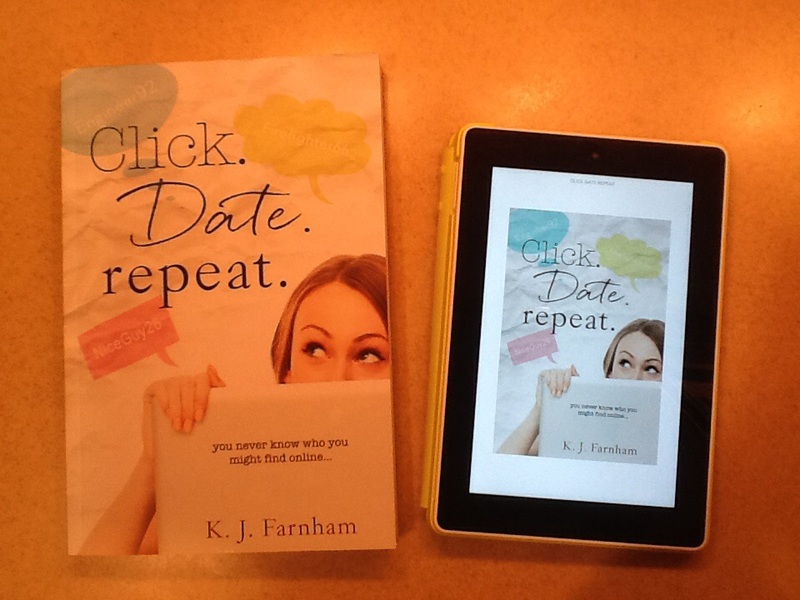 Back in January 2014, with about one-third of my first novel written, I found myself stuck. Not because of writer’s block—I knew exactly where I wanted the story to go—but because I was worried that my writing wasn’t good enough. The self-doubt I felt was so overwhelming that I started backtracking to reread five paragraphs for every new paragraph written. And every time I reread something, I found myself wondering: Am I wasting my time? Will people even like this? Then one afternoon, a friend was telling me about a computer software project he’d recently completed with the help of freelancers via the online staffing platform Elance.com. That’s when it occurred to me that I could hire someone to provide me with feedback. I am writing my first novel. I’m 90 pages in and need an unbiased opinion on the quality of my work. I hope to find someone who has experience writing, proofreading and editing fiction to provide feedback/guidance throughout the process. I’d like to start by paying for feedback/editing on the first chapter. If I can find the right person, I’d like to continue paying for feedback on additional chapters and possibly the whole book. Within a day, I received 42 proposals, but there likely would have been hundreds had I not closed the proposal window early. The next step was to weed through the proposals. The first thing I did was eliminate candidates who didn’t have any reviews from previous clients and whose rates were too high. (I was looking to spend less than $75.) That left me with 16 candidates. After reading each candidate’s proposal, I had a feeling that one particular person was right for the job. However, when it came time to make a final selection, I decided to hire two candidates just to see how the feedback would vary. In the end, I should have gone with my gut and hired that one particular person who I felt was right for the job in the first place because her edits and comments provided the motivation I needed to push forward. It wasn’t all glowing feedback either—there was a lot of work to be done—but she understood where I was going with the story and her enthusiasm about working on the project came through loud and clear. The other candidate’s feedback was positive and insightful, but I just didn’t feel a connection with her for some reason. So, a big thank you goes out to Elance.com for connecting me with Leah Campbell. She’s an amazing developmental editor!